Huge Improvement!! We have a new sandwhich board with silver letters, very fancy! Applying vinyl lettering isn't as easy as it seems, but we are experts now! Come check out our current exhibition and step into a world of organic beauty and escapism. Nature: captured, abstracted and reinterpreted by two deeply thoughtful artists: Juliane Shibata and Michael Kessler. We had a wonderful turnout for the opening reception of Quiet Places, Loud Spaces. 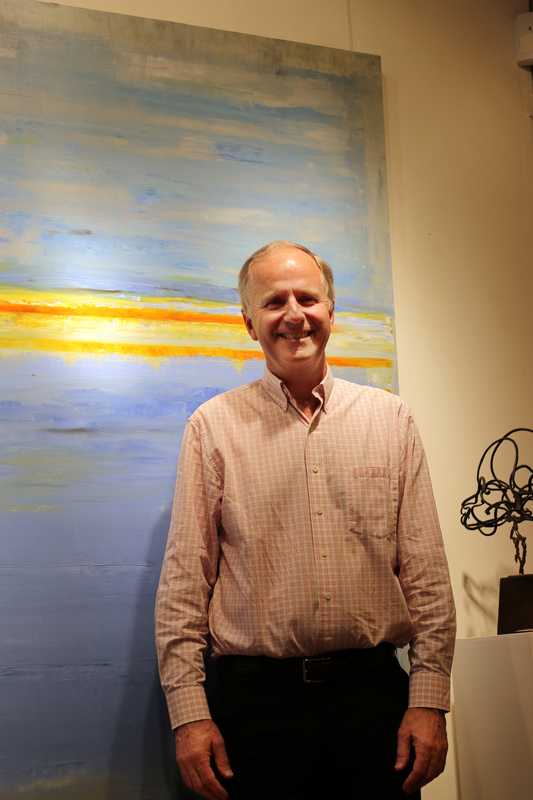 On display were new works by Jim Hillegass, our resident local artist. Visit us to see this vibrant group exhibition showcasing a selection of our talented local and national artists. This evolving exhibition offers a glimpse into the wide variety of styles and oeuvres that we represent. From abstract landscapes, color exploration, whimsical paintings, ceramics and metal sculptures using ancient blacksmithing techniques, there is interest for every art lover. We were thrilled with the opening of our latest exhibition: Ephemeral Forms! Thank you to Eleanor McGough for her stunning works, some of which have already found homes with some very lucky people. It was also a pleasure to have Hortense La Tour with us all the way from France, her jewels made the evening even more special and gave the night a particular sparkle. In case you missed it, here are some photos from the event. The show will be up for a couple more weeks, so if you're in the neighborhood please stop in for a look! We are so excited to welcome a new artist to our gallery: Tonja Sell. A Wisconsin native and daughter of glass artisans, Tonja attended the Milwaukee School of Art, where she studied fine arts, drawing and illustration. “I get lost in the works of Klimt and Degas, the romance of the Pre-Raphaelites, the figures Toulouse Lautrec and Egon Schiele. I am captivated by the human form, texture, layering and hidden images. Much of my work incorporates several media combined in unexpected ways. 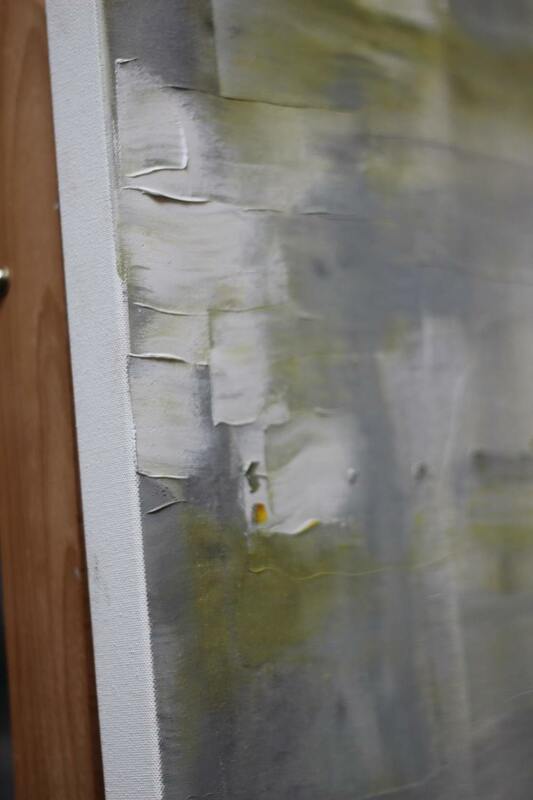 By working in mixed media I often build tactile surfaces that invite exploration. I want to pull you in, cause you to explore and move through my work. We look forward to introducing you to her beautiful work. What a great night we all had! Thank you to all who came, it felt like a true celebration of two wonderful artists. Take a look at these photos to get a preview of the exhibition, or come in and see them person! The Gallery is under transformation! With a little help from a French friend in town, we moved the old show out, and the new show in! Our opening reception is tomorrow, so we have spent the day putting the finishing touches on the works that are hung. We are very excited to present our new show featuring Alain Ballereau and Chuck Solberg. Alain's work comes to us from France, while Chuck is a local here in Minneapolis. Immerse yourself in their bold narrative and reflect on the raw beauty of these works. 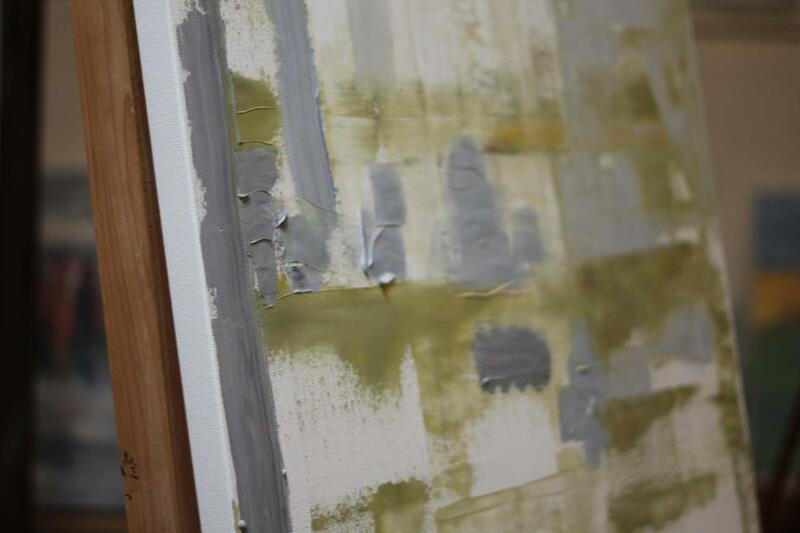 It is always such an honor to watch our resident artist Jim Hillegass at work - creating meditations on canvas!! 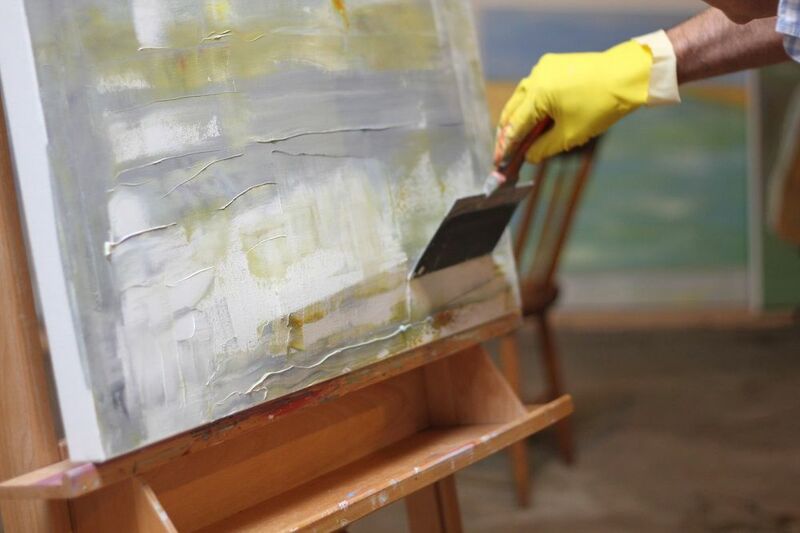 Here are some snapshots of his process; the manifestations of incredible textures as his palette knife scrapes the surface, resulting in the impromptu blending of colors and his carefree concentration as he works. Such a pleasure, we thought we'd share it with you!